Welcome to the beautiful Elk Springs Resort, located just 8 minutes from downtown Gatlinburg, Tennessee. 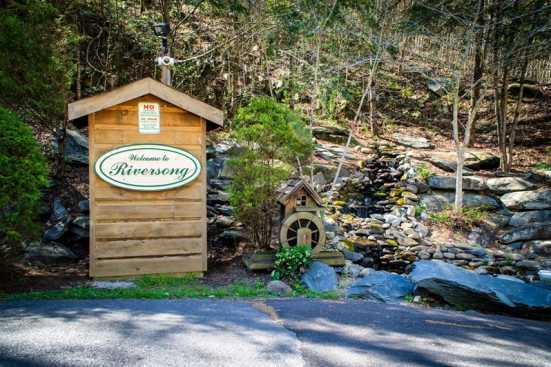 This smoky mountain property is strategically located to give you a quiet mountain setting while being located just 15-20 minutes from big attractions such as Dollywood in Pigeon Forge, Tennessee. Elk Springs Resort is located on 68 acres bordering the National Park and features 121 cabin rental sites. The large area is composed of 4 ridges and 3 valleys full of a multitude of trees and wildlife. This resort receives top rankings for its breathtaking views of the Great Smoky Mountains, proximity to local attractions, and guest privacy. The resort offers 1 to 5-bedroom cabins to best meet the needs of different size groups. These cabins offer features such as fireplaces, porch swings, and high-end electronics. The spacious three-bedroom cabins include a private home theater. The larger cabins with four, five, or six bedrooms are tri-level to provide common gathering areas for bigger groups. Other amenities include internet access/free wifi, stunning mountain views, hot tubs/saunas, and pool tables. This unique and perfectly located resort not only offers privacy and relaxation, but can also help facilitate meetings, weddings, and receptions. The common areas of the resort can host special events that include catering, covered entertainments tents, live music, dancing, and full meal service.